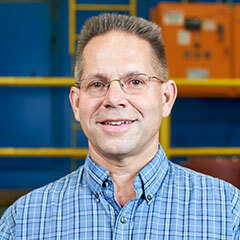 The people who make up Isaiah Industries are essential to the company’s ability to innovate, be be flexible, and be responsive to customer needs. 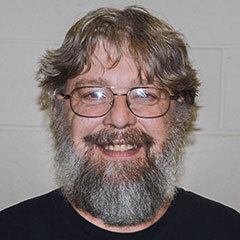 Here are short profiles on some of the great, hard-working, and committed individuals who make Isaiah Industries stand apart from the competition. Eric usually takes the overalls off before coming to work but he lives on a farm along with his wife and two children where they raise sheep and have two dogs, Belle and Izzy. Farming roots run deep in his family as helping on his dad’s farm was Eric’s first job. His favorite thing to do outside of work is spend time with his family. 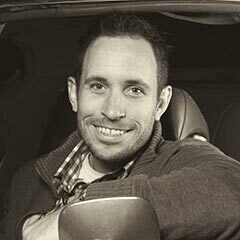 Eric’s first car was actually a Chevy pickup which he describes as a “piece of junk.” With favorite foods including chocolate and Cassano’s Pizza, Eric enjoys the company of his co-workers and appreciates that we produce products that benefit our customers. Julie is a “metal fabricator extraordinaire” and is known for her keen attention to detail and quality as a pressbrake and rollformer operator, packer, and inspector. She has worked for Isaiah Industries since 2014. Some might call her a “hopeless romantic” as she enjoys taking long walks with her husband and spending time with her grandchildren. She especially appreciates our “early bird” factory work hours which allow her to be home by 3 pm each day. An avid History buff, you do not want to go up against Brian in History Trivia! Brian enjoys physical fitness and watching and participating in sports. 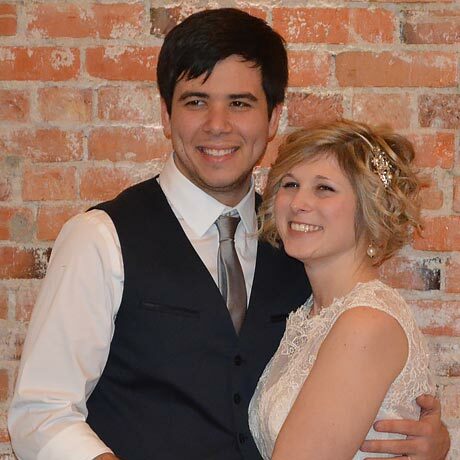 His favorite memory is a family church camp that he and his wife still attend with their son and daughter. His favorite vacation spots have been Gettysburg and San Francisco and the thing he reminds himself of each day as he comes to work is that he is working for God, not man. Along with her husband, Tina lives on a small farm in Texas where the chores never end. They have three dogs (Layla, Bella, and Mattis), two goats (Pancho and Lefty), two horses (Jake and Cheyenne), and a whole lot of chickens, most of whom do not have names. He favorite trip has been their honeymoon in Jamaica. Her first ever job was babysitting and her first car was a 1984 Pontiac Sunbird. 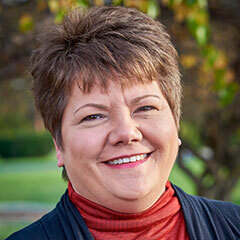 Tina loves the wide variety of customers she gets to talk with and serve. Randy’s first job was delivering newspapers. After that, he lived and worked in Alaska on the pipeline so cold Ohio days are not a problem for him! A big part of his job as an Isaiah team member is production scheduling which involves reviewing orders each day and making sure we can meet our targeted shipping dates which are often 1 – 3 days after the order was received. He appreciates his co-workers and works hard to meet customer needs. 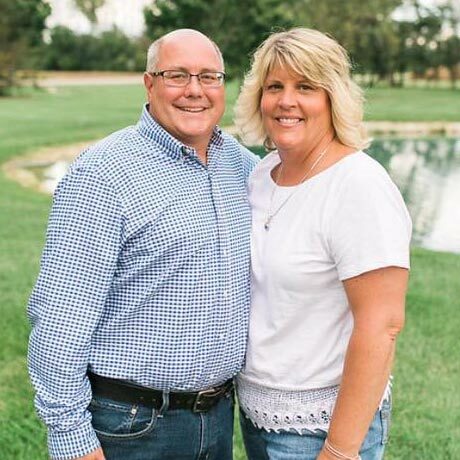 Mark and his wife, Beth, have been married for over 30 years. 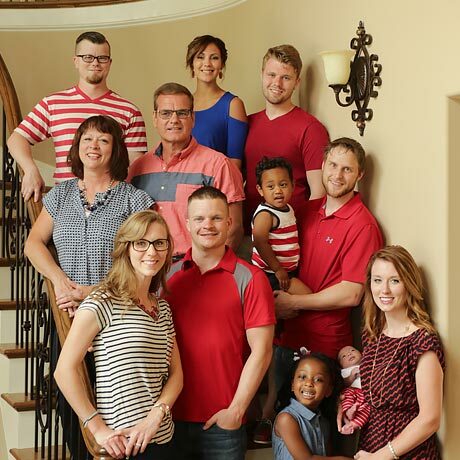 They have four adult children, three of whom are married, and three adopted grandchildren. Some people may accuse Mark of having his “head in the clouds” and they’d be right! Growing up during the “space race,” Mark has a fascination with astronomy and often holds “stargazes” at his home. Mark conducts installation training for contractors and values the opportunity to remind folks that their worth comes from being made in the image of God. This has led him to many discussions about the love and provision of God through Jesus Christ. Sean and his wife have three children and two kittens that he really doesn’t claim. He enjoys attending their childrens’ sporting events, camping, motorcycling, and hanging out with friends and family. Sean’s first job was bagging groceries and, while he enjoys preparing our monthly financial statements, he very much enjoys pitching in to exceed our customers’ expectations, including working in the plant when we’re behind or preparing same day shipments after the plant has closed for the day. 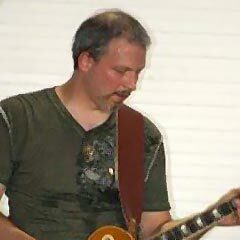 Jeff enjoys playing guitar, reading, and being with his family. His family includes his wife, two daughters, two dogs (Daisie and Bella), two cats (Maisie and Joey), one lizard (Dusty), and one turtle (Scone). His favorite foods are barbecued ribs and Maderite sandwiches. Jeff considers each day to be a blessing from God as he works hard to make sure that quality products are produced for our customers. Ronda and her husband have two adult sons and five grandchildren with whom they enjoy spending time. You will always recognize Ronda by the color of her thumbs -- she enjoys working in her flower beds and gets great satisfaction from seeing progress with the planting, weeding, and mulching. One of her favorite vacations was to the Outer Banks where she enjoyed walking on the beach and looking for seashells. She loves chocolate and s’mores. Her first car was a Ford Galaxy built the same year she was born – but a lady never tells! Zeke was just married in 2016 and is loving every minute of it. 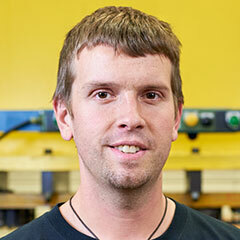 Zeke is a “multi-materials” guy, working with metal at work but enjoying woodcarving as a hobby at home. He enjoys the challenge of engineering, the development of new parts and trims, and programming our pressbrakes to produce them. He is a graduate of Christian Academy Schools and works hard to ensure our customers are delighted. Along with his son, Tom is part of a multi-generational farming family. He and his wife also have a daughter who, with her family, is a missionary in Costa Rica. Tom enjoys restoring old farm tractors and his first job was building pallets. Tom’s first car was a Studebaker Lark which he recalls often having to start by giving it a good push. 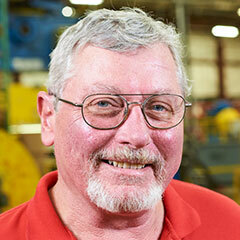 He enjoys working with our vendors and our team members to ensure the quality of our products. He enjoys the variety of work in his job and, given the opportunity, you won’t see him passing up a piece of German Chocolate Cake or a Hawaiian cruise. Kelly’s first car was a 1969 VW Beetle that originally looked like Herbie the LoveBug but he painted it red. The youngest of five children and part of a family that has now grown to 60+, Kelly remembers staying a few days each summer with his grandmother, and the fun he had exploring the fields behind her house and visiting with extended family. 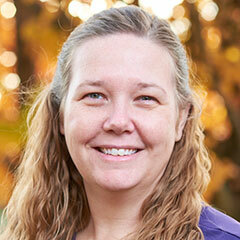 Kelly appreciates the diversity of our work team and the green aspect of our products. He is hopeful that Christ is seen through our interactions both internally and with customers and suppliers. Kelly and his wife have two children, a son-in-law (who also is an Isaiah team member), and a grandson who is the joy of their life. Joe lives outside of Louisville, KY with his wife and their two children. He enjoys videogames and “dabbling in a million things while achieving expertise in none of them.” (That’s his own quote – we happen to think he is great at many things!) His first car and favorite engine ever was a 1978 stepside Ford pickup. Joe describes his favorite restaurant as “all of them.” Isaiah Industries is the only place he’s worked since graduating from Wright State University. He enjoys the variety of his work and seeing the transformation of homes with beautiful metal roofs. Ryan and his wife have four children and he lovingly and laughingly describes homelife as a “combination of the zoo, a circus, and a UFC fight” 90% of the time. Ryan’s first job was lawn mowing which allowed him to save up money to buy a moped. He enjoys watching Wheel of Fortune while eating popcorn with an occasional break for pizza. His first car was a vintage (defined as “rust-covered”) 1988 Pontiac Grand Am. Ryan enjoys how his job allows him to do extra things for our customers that other companies don’t do. We’re always searching for the 1% but Ryan feels 99% certain he could not work at a better place. Todd’s first job was as a summer babysitter and housekeeper. It allowed him to buy a bright red Schwinn Traveler III 10-speed bike that still sits in his garage. He exasperates his wife with his issues with throwing things away, attributing it to growing up in the Great Depression. (He was born 30 years after the Great Depression.) 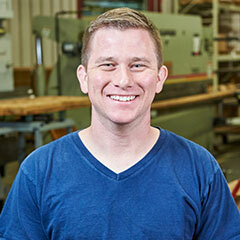 He has worked at Isaiah since he was a high school junior when his father started the company. He reminds himself that there must be a level of mastery you can achieve if you stay in one place; he seeks it still. 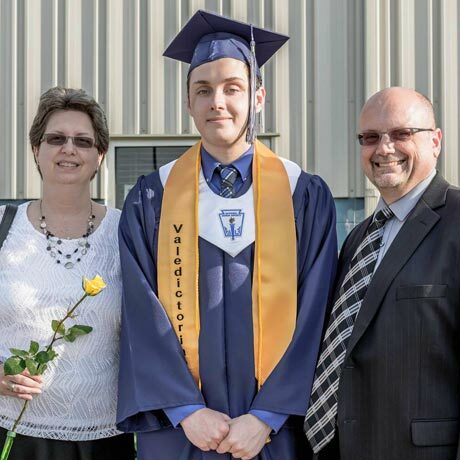 Todd and his wife (high school sweethearts) have one son who is a Computer Engineering major at Cedarville University. Kathy has always lived in Piqua. 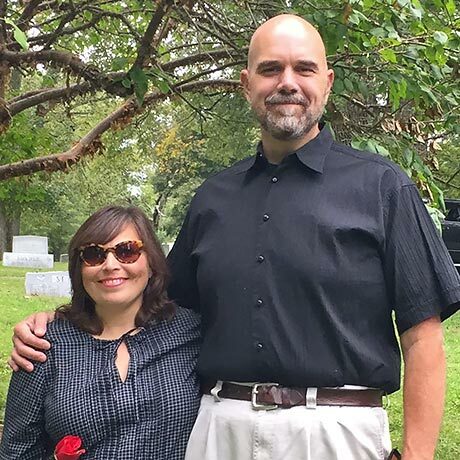 She and her husband met in first grade and re-connected as adults. Their son is a funeral director, which she said always creates good conversation. Their house today is kept lively by Max a German Shepherd and Chewy a Husky rescue dog. Her first job was as a “car hop” for the local root beer stand. 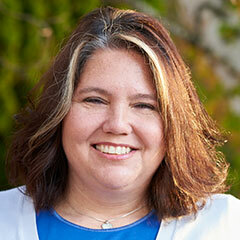 In her spare time, she enjoys music, reading, and spending time with her family and dogs. Widely known for her smiling voice over the phone and helpful attitude, Kathy loves the great conversations she has on the phone with folks she will never meet in person. Mary is relentless when it comes to taking care of customers and other things -- she got her first ever job by calling them continuously until they hired her! Mary and her husband have two children – 20 years apart! In her spare time, Mary enjoys visiting old cemeteries (don’t ask), taking pictures, and volunteering with her church’s backpack food ministry. Mary got interested in construction young, assuring her dad that his three daughters could be just as good at helping with home repair projects as three sons would have been! Mary especially enjoys helping homeowners determine which product and color might work best for their home. Sheila’s career has had a circuitous path. Her degree is in English (a common thing around Isaiah Industries) but she found her way to the wonderful world of technology. She and her husband Steve have two adult children and a daughter-in-law. She enjoys quilting, reading, camping (if you call that massive trailer “camping”), hiking, and spending time with family and friends. Her first car was a Ford Fairmont, described as old and ugly but it was hers! 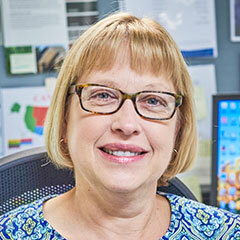 Sheila enjoys learning through her job and the friendships of co-workers, customers, and suppliers. Diane greets customers with a friendly and helpful voice or email! She and her husband have a daughter, son-in-law, and three beautiful grandchildren. 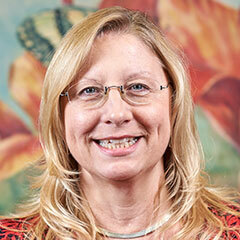 Diane enjoys traveling and her favorite ever vacation was to Jamaica. She hopes to someday visit Germany. Her first job was dipping ice cream at the local dairy. A favorite memory is attending Christmas Eve service each year with her family and three other families, returning home afterward for games and fellowship. 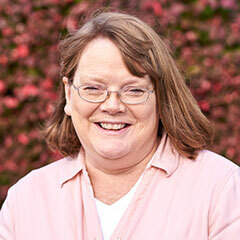 Diane very much enjoys working with our wonderful customers providing them with service and support that are unmatched. 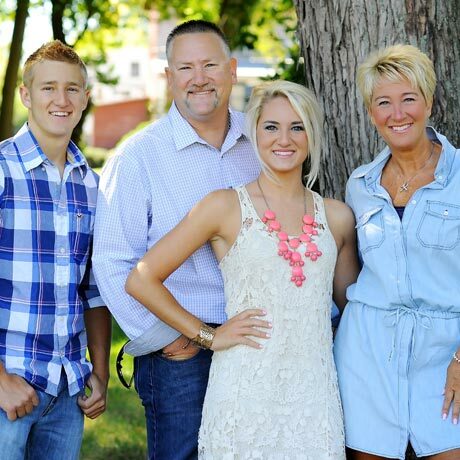 A strong family man, Kent’s favorite times are those spent with his wife and their three young sons. 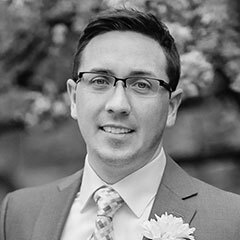 Kent has seen a couple of sides of Isaiah Industries, starting with us in Operations and later moving to Marketing. He enjoys Chinese food and his favorite car was a 2003 Kia Sorrento that he bought when it had just 45 miles. 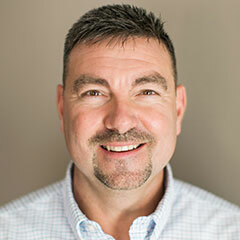 Kent enjoys building things out of wood and his favorite vacation was his honeymoon to the Cayman Islands. (He was nice enough to invite his wife along.) Each day, Kent reminds himself that “This is the day the Lord has made” as he heads to work and begins to help our customers with their marketing and informational needs. Karen and her husband have four children and live on a small farm. Karen is in her second go-round working at Isaiah, having worked here prior to starting her family. As one of 12 children herself, Karen has become a natural at procuring and managing raw materials. Her childhood memories include canning 100 quarts of fruits and vegetables and butchering 250 chickens each year. She describes her favorite restaurant as “anyplace where I don’t have to cook” and, when she does have the rare chance to relax, Karen enjoys sitting on their front porch and listening to the tree frogs. 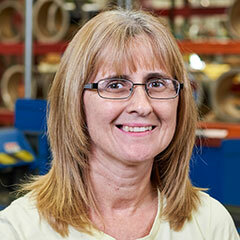 Karen enjoys her coworkers and keeping inventory flowing so we can meet customer needs on a timely basis. More fun than a barrel of monkeys? According to Tim’s oldest daughter, “When I am with daddy, the party never ends.” Our customers appreciate Tim’s personality and enthusiasm as well. Tim lives with his wife, two daughters, and one son in Montana. French Brittany Spaniel “Kona” rounds out the crew and is being trained for bird hunting. Tim enjoys time with his family, hunting, skiing, and hiking. 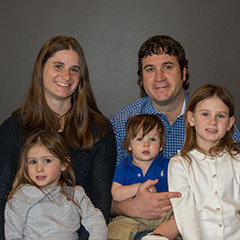 Though he always misses his family, Tim enjoys traveling in his western states territory to have a positive impact on customers and help them improve their businesses. 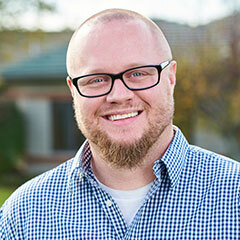 While Tim works to provide for his family, he ultimately does it to serve others and The Lord. 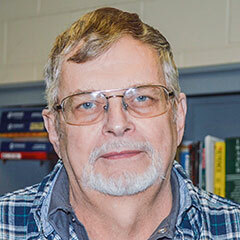 Keith is an outdoorsman, enjoying fishing, bow hunting, gold panning, and wood working. He has a black lab named Macy and his favorite car he’s ever owned was a 1969 Camaro. His first job started at the bottom – literally – as he worked in the basement of a local pizza joint when he was just 15. One of his best memories is when he hit a grand slam home run in a baseball tournament. 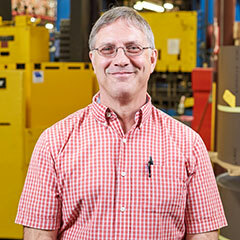 He describes Isaiah Industries as a “pleasant workplace” and he always strives to do a good job for our customers. Despite being incredibly photogenic, Elmer is a little bit camera-shy but we were able to get him to pose for this shot. Elmer is a creative guy, which serves him well whether he’s troubleshooting equipment issues in our plant or spending time on his latest self-designed woodworking project at home. Elmer started working young – two weeks before he turned 16 – and he’s been hard at it ever since. His first job was working in the kitchen of the local hospital and his first car was a 1959 Ford truck for which he paid $125 but was later reimbursed $175 in insurance money for when he had to swerve to avoid hitting one of his teachers who had run a stop sign. One junkyard fender and a can of spray paint later which he used to replace his bumper with a different type of grill – giant teeth – and he had that old truck out on the road once again. Chris has the distinction of being the person who has worked longer at Isaiah Industries than anyone else. 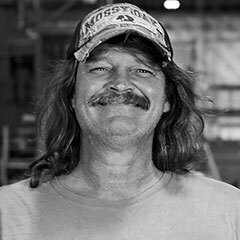 As “team member #5” in the company’s history, no one has a better understanding of our equipment and production processes than Chris. He remembers his first job picking tomatoes at sixteen cents a hamper. His first car, a 1969 Ford LTD with a 351 Cleveland engine, “could fly,” as he recalls. He enjoys spending time with his wife – in his words, “the gal who deserves better but settled for less thankfully.” These days, they share their home with Hannah, their aging West Highland Terrier who brings them all the love in the world. In his responsibilities here, Rich has to know all of our thousands of various component parts and colors by heart. 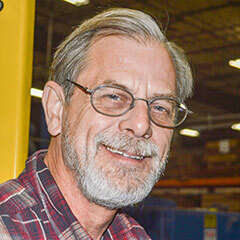 Each morning, he receives a stack of orders and then he works to pull and package shipments. Under his watchful eye, many orders ship the very next day. Rich started working young, helping build fences when he was 13 or 14. He later worked at Dinner Bell butchering hogs. He has the distinction of being a “survivor” since his first car was the notorious and fire-prone Ford Pinto. He greatly enjoys how his job keeps him busy and, when he’s not here, you may just find him out at one of his favorite fishing holes.